1951: LEE BELARDINO "OLD FRIENDS ARE THE BEST FRIENDS"
Miss Louise Baird was the vocal music teacher at Hamilton High School. Among the countless things she taught us was the ability of music to raise the human spirit and elevate it to an incredibly wonderful experience; lifting the soul to unimaginable heights. This year, I will once again try to raise that spirit in the few music lovers who will come to Kuser Park for an afternoon of good old fashioned sing along music on the lawn in front of the beautiful Kuser Park Gazebo. The program I present is called "THE MUSIC WE GREW UP WITH." It's nice to sing along to songs that have understandable lyrics and ballads that bring back many sweet memories. Details to this free program will be forthcoming as the spring-summer season progresses. 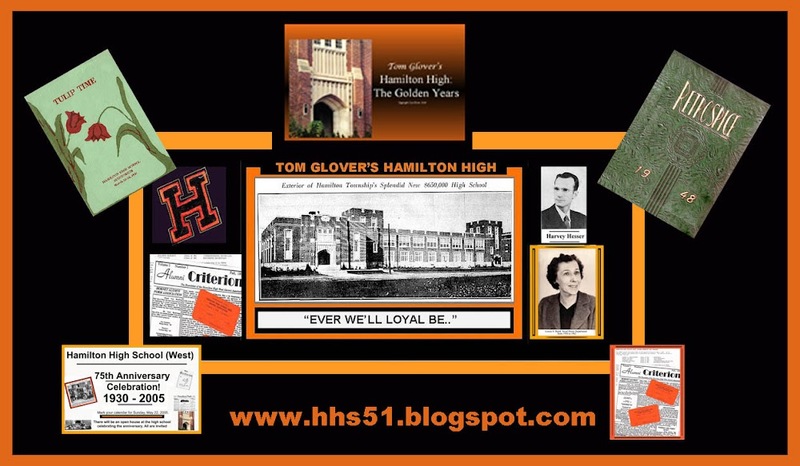 The graphic above came from a class of '45 Hornet who was on the committee for the HHS 1945 reunion. 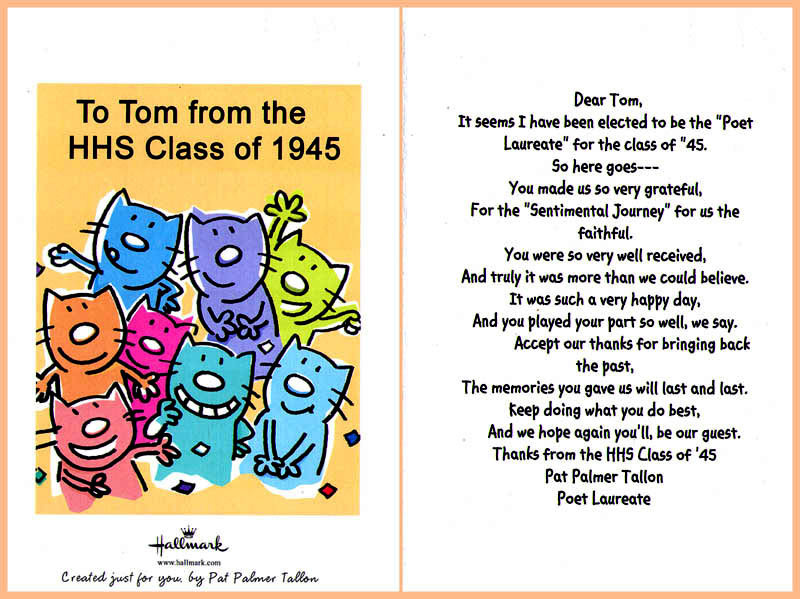 Over the years, I have presented the program to the Trenton High Class of 1942, Hamilton's class of 1942, Hamilton 1949, and perhaps more, but time seems to dim those memories. Misty eyes proliferated as we sang the songs that were popular during their high school years. The music brought back pleasant memories of that first dance, first girl or boy friend, and the songs that were on the "Big Top Ten" during those years. Music does indeed have a soul touching ability. It is one of the many gifts our Lord has bestowed upon mankind. 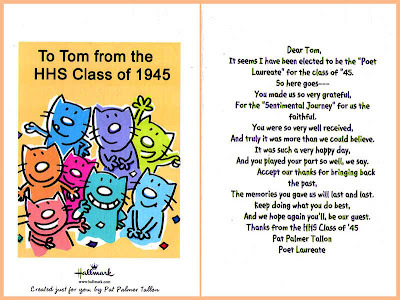 I am the Hamilton Township Historian at the Hamilton Township Public Library Local History Collection. I served in "G-2;" the U.S. Army Security Agency(ASA) with a "Top Secret Codeword" ("Crypto")military clearance. 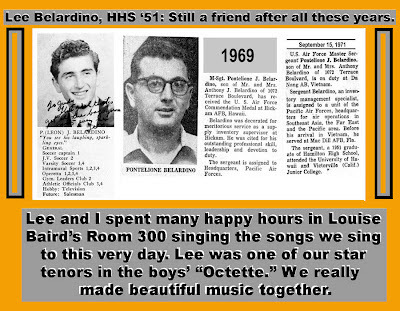 I have been married 60 years in April of 2014 to Judy Britton, my class of 1951 Hamilton High school sweetheart. We have 3 children and 9 grandchildren, and one great granddaughter. I have been a member of the amateur radio community since 1975 with the call sign WA2RVU. If the good Lord wills it, I will be logging local history when I reach the golden age of 100!